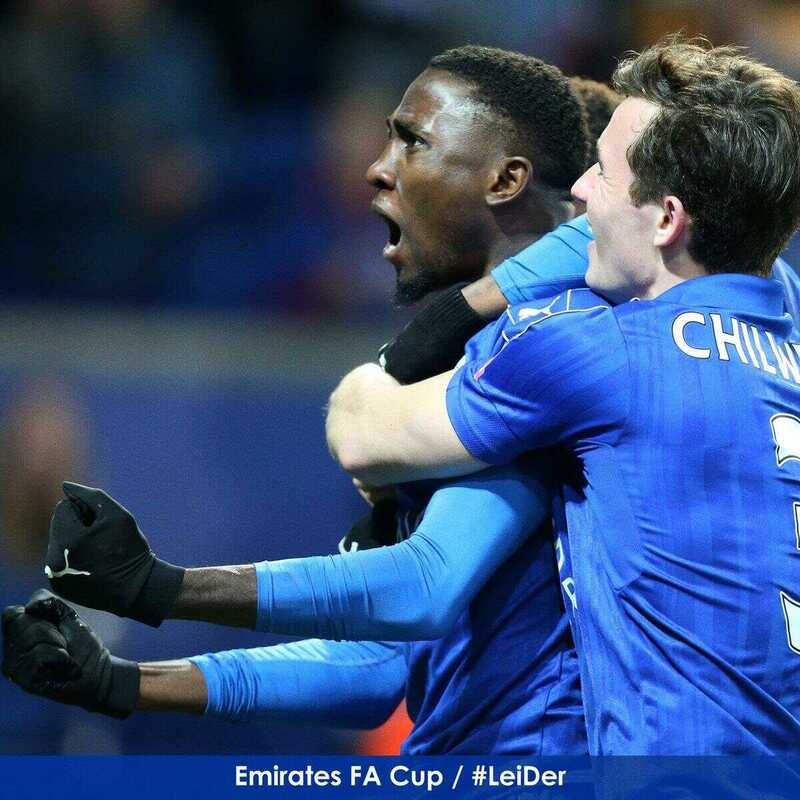 Super Eagles midfielder, Wilfred Ndi‎di was on target as he helped his Leicester City side beat English championship side Derby County 3-1 at home in the English FA Cup 4th Round Replay. Welsh international, Andy King scored the opener for Leicester just a minute into the second half before they were pegged back by Camara’s deflected free-kick in the 61st minute to force extratime. Substitute Ndidi (94th minute) and Demarai Gray (114th minute) scored in extra time to seal English Premier League (EPL) champions’ place in the 5th round of the competition. N‎didi was introduced into the match at the start of extra time for Niampalys Mendy while compatriot Ahmed Musa played from kick-off till the start of extra time before being replaced by Algerian international forward Islam Slimani.